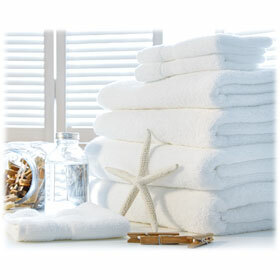 The Williams Bay better series is a leap up from an economical hotel towel. Features a cam border and selvedge edges to eliminate the common problem of unraveling after laundering. Made of 100% ring spun white cotton. 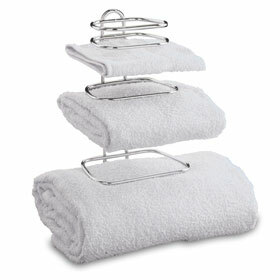 Choose from washcloths, hand towels, bath towels, and bath mats. 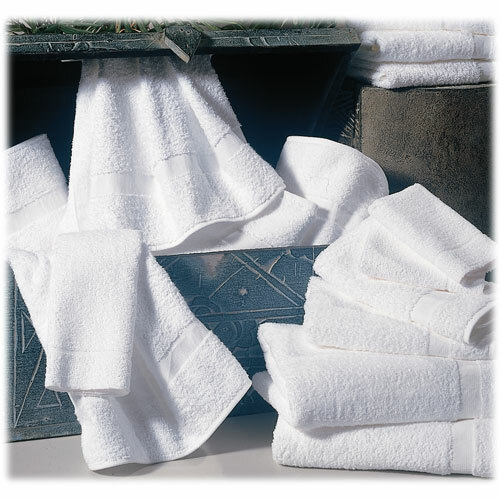 Ring spun cotton allows the Williams Bay line to have a balance of absorbency and softness. Recommended for motels, independent hotels, bed & breakfasts, camps, locker rooms & churches.